Welcome to Dave’s House Cozumel! 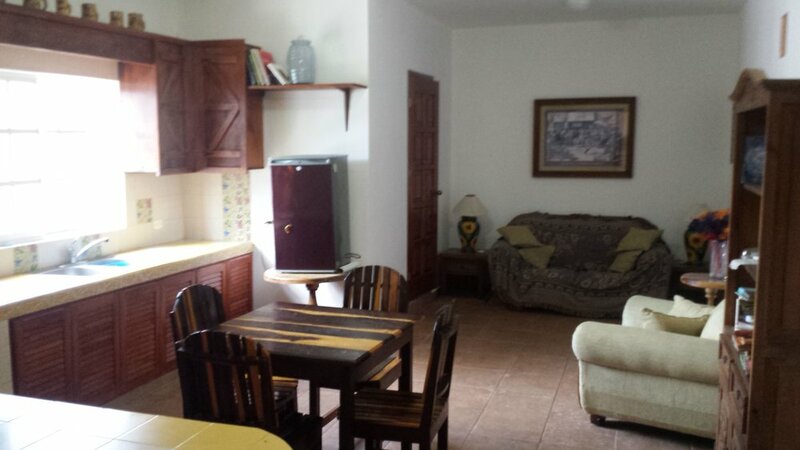 Enjoy Charming Vacation Rentals in the Heart of Cozumel, Mexico. Looking for a more authentic stay in Cozumel than what the hotels provide? Well, look no further! Dave’s House is the perfect hidden gem. 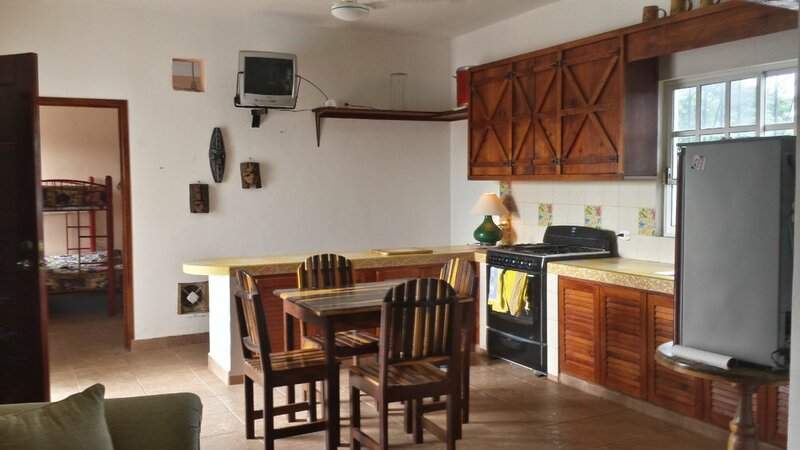 This charming complex houses multiple vacation-style apartment rentals away from the hustle and bustle of touristy San Miguel, yet with all the amenities one could want. Located right off the island’s main road (Transversal), it provides convenient access to Cozumel’s lively downtown area AND the beautiful, uncrowded beaches of the Southeastern side. A nice walk or quick ride gets you downtown fast, or drive just 10 minutes in the other direction to head over to the first beach bar - Mezcalitos. If you’re renting a scooter, feel free to park it inside our locked gate! Built in 2009, Dave’s House offers a chill and inviting ambiance. With 3 apartments to choose from, the property is set-up to ensure your stay is relaxing whether you’re out all day on excursions, or just need a little R&R in your accommodation. There are 2 studio apartments that each sleep up to 6 people, and one 2 bedroom apartment with a fully equipped kitchen that sleeps up to 8. All rentals have their own bathroom with warm water and A/C, and there is fast and free Wi-Fi throughout the property. Downstairs, take it easy while you refresh in the pool, doze off in a hammock, or unwind in the shade while the day goes by. The cabana surrounded by lush palm trees and tropical plants offers that jungle vibe, yet with many added comforts like an outdoor shower/restroom, and clothing washer. Make use of the large, open-air bar area with a barbeque grill and fridge to prep meals, hang with guests, or throw back some margaritas! For extreme sun worshippers, there’s even a sun deck on the roof to provide you with a great view, but give no chance for neighbors to sneak a peek. For tips on anything to do on the island, just ask Dave! He can help you book exciting excursions and relaxing appointments better than any agency. That’s a guarantee. Two Studio Apartments that sleep up to 6 people. One 2 Bedroom Unit that sleeps up to 8 people - includes full kitchen. When would you like to check-in? When would you like to check-out? Please include any children or babies. Please leave any additional comments or special requests for your reservation request here. Dave will be in touch with you shortly to go over the details of your reservation and confirm your stay. Please note that submission of this form does not guarantee the dates requested are available.